This is the best new medium sized red formals to come along in over 10 years. The color is very clear and uniform and the form is excellent. 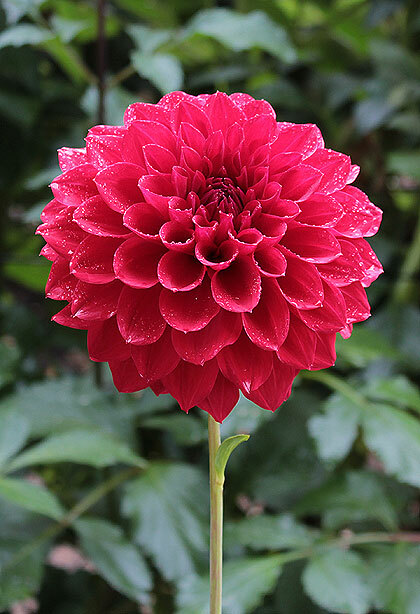 A great addition to a show collection or for use as a cut flower or garden dahlia.